Following the release of 2010's Thank Me Later, Drake began to grow his beard out. Over the months, Drake allowed the beard to continue to grow. Now, many have criticized Drake over his seemingly inability to shave. Because of his Jewish background, many have credited him growing a beard to religion. Last month, Drake referred to himself as the "world's coolest Jew," but he was quickly discredited. Before this, Drake also said he may return to acting before the end of 2011. Much of what Drake says is disgarded until confirmed by his management team. However, his new beard and acting return may require a little more attention. For months, Drake has been growing the beard out. The most recent video of him and the facial hair is Rick Ross' "Made Men video." 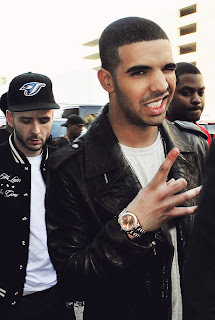 It seems to be a little something behind the Toronto rapper's new facial hairstyle. Despite his back and forths about style and his hair, Drake may actually be working. Many rumors suggest Drake is growing the beard for a new film role. When asked about the beard, Drake hinted at it being a part of an upcoming film role. However, he did not reveal what film, if any, the beard was being grown out for. Until this is confirmed, the guessing game will continue.